It's extremely cold in the church, and Angela becomes worried for the baby Jesus in the nativity scene - after all, he's not wearing very much. After the service, she makes an excuse to sneak back inside, and she steals the statue (along the way accidentally causing two parishioners to believe they've witnessed a miracle). She takes the figure home via a winding route, including a brief stop to look at the sweets in a closed shop, although she's scared off by the men in the bar in the building. To sneak home she has to get over the back fence, and she encourages Jesus to "fly" there, with a bit of help. Fortunately, this does no worse than cause a paint chip, but Pat runs into her in the yard. She makes it past him and upstairs, but of course he tells on her. At first, their mother thinks he's lying, but she goes upstairs to find Angela comforting the statue, tucked into her bed. She clearly wants to tell Angela that it was wrong to take the doll, but not wrong to care about it, so she tells them all a story. 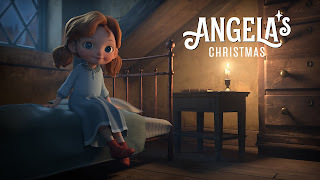 It's the story of when Angela was born in the coldest part of winter, and the children's father was arrested for stealing coal that they could not afford. She describes how instead, Pat and Tom, the eldest, just snuggled in with Angela and their mother, and together, they were warm, even without the fire. Angela agrees that the baby Jesus has to go back to his mother, although she takes him upstairs again first and comes down with him wrapped in a blanket. The whole family troops back to the church, where a police officer has been summoned to investigate the theft. Angela tries to explain, but Pat jumps out in front of her, protecting her and telling the officer that he can't take her. The officer agrees that there's no reason to take a child from a family, and since Jesus is back with his family as well, there's no lasting harm done. The priest doesn't seem pleased with the lack of consequences, but allows himself to be convinced. Angela and her family return home for Christmas, and the priest unwraps the statue, only to be very amused to discover that the baby's also wearing a cheery sweater that Angela's youngest sister had just grown out of. This half-hour special was incredibly sweet, with enough complexity and humor to keep it interesting. Everything that happens is very grounded and real, but because it's filtered through a child's perspective, things seem more magical or menacing than they would be. For a piece literally about a baby Jesus figure, it's almost agnostic, acknowledging the characters' beliefs but centering the morality on the very human principles of caring, warmth, and family. We were not surprised to discover this is based on a book. It's a children's book called "Angela and the Baby Jesus" by the Pulitzer prize-winning Frank McCourt. 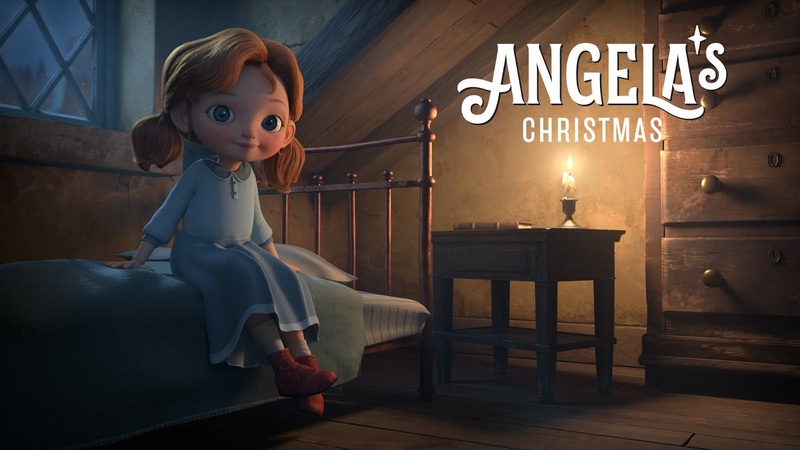 It's based on a family story the real Angela told her children about her own childhood. McCourt passed away in 2009, but his wife was a consultant on the film and his brother did the narration. The film premiered in select screenings and on Irish television in 2017, but in 2018 it is now available worldwide on Netflix. If you're looking for something sweet to enjoy this season, you're not likely to do much better than this. Highly recommended to just about anyone, but if you've got kids watching with you... all the more reason to hit play. This is what all-ages entertainment should be.